MUSIC VIDEO: Justin Bieber F/ Jaden Smith - "Never Say Never"
Singer Justin Bieber takes us on a journey in his newest music video release “Never Say Never” feat. 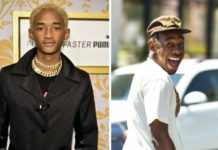 child actor Jaden Smith. 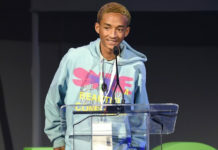 The video shows many different scenes from Jaden’s upcoming new movie “Karate Kid” (due in theaters next Friday, June 11th) and we even get to hear the young lad rap! Check out the official video for “Never Say Never” below….